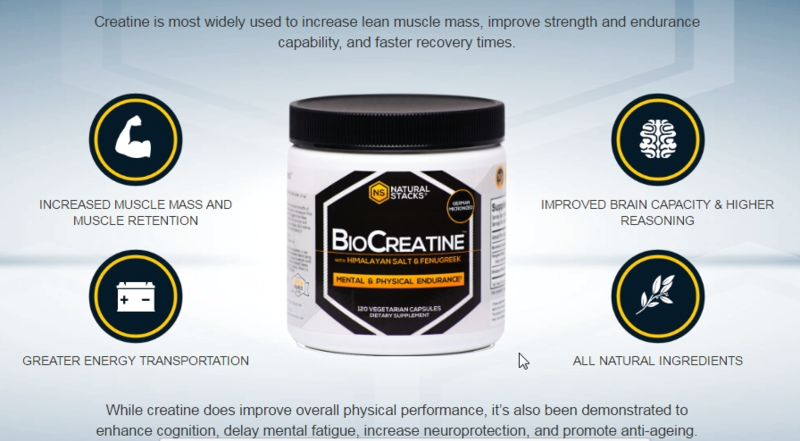 What is the effect of Creatine? 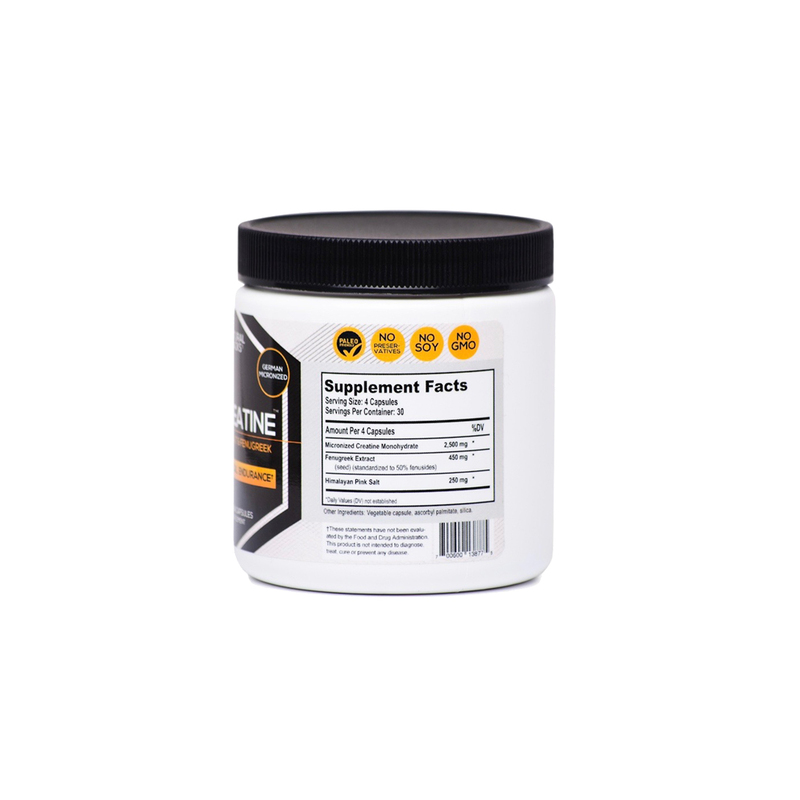 Creatine is a naturally occurring amino acid that improves explosive strength and power. Creatine and Sodium are “co-transporters”, meaning that creatine absorption is dependent on having adequate levels of sodium. Himalayan Pink Salt is regarded as the highest quality and most nutrient-dense source of sodium on the planet. The inclusion of creatine can be promoted by additional sugars (by simulating an insulin response). Insulin helps to transport nutrients to the cells. This is the reason lots of commercial products also contain sugars creatine. Fenugreek seed extract activates the insulin receptor in a natural way. 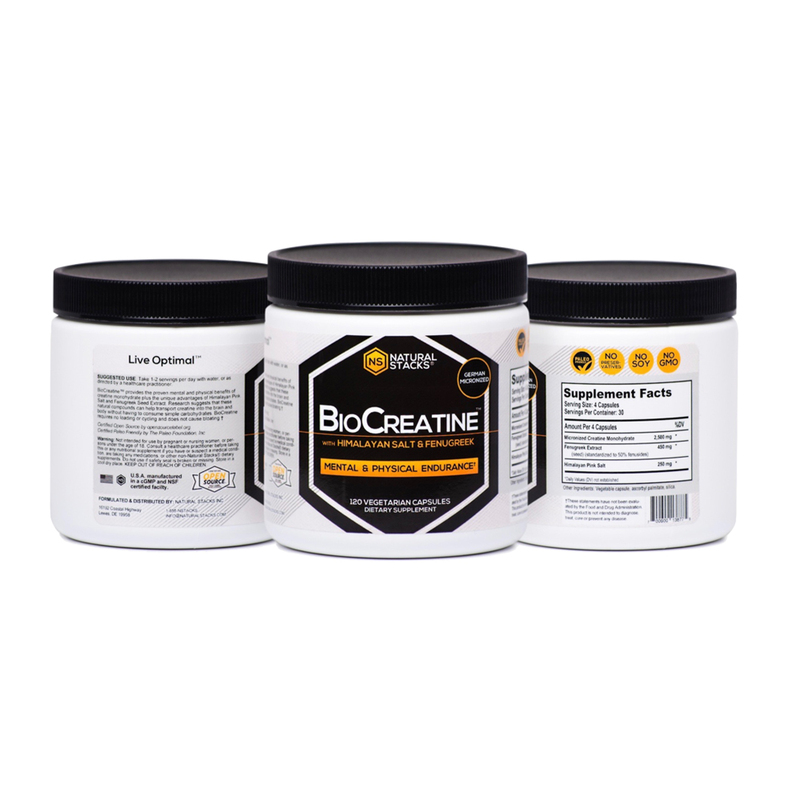 In its natural state creatine can be found in foods like beef and pork, although most of it get broken down during cooking. 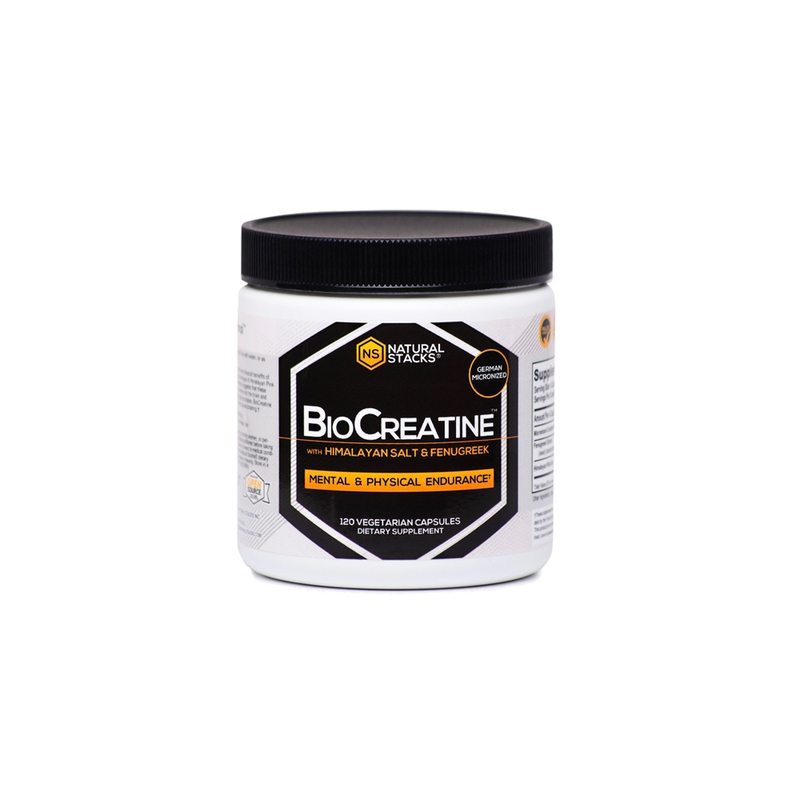 BioCreatine™ is a dietary supplement that falls into the category of amino acids. 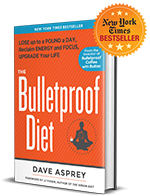 Suggested use: Take 1 or 2 servings a day with water or as directed by a healthcare practitioner. 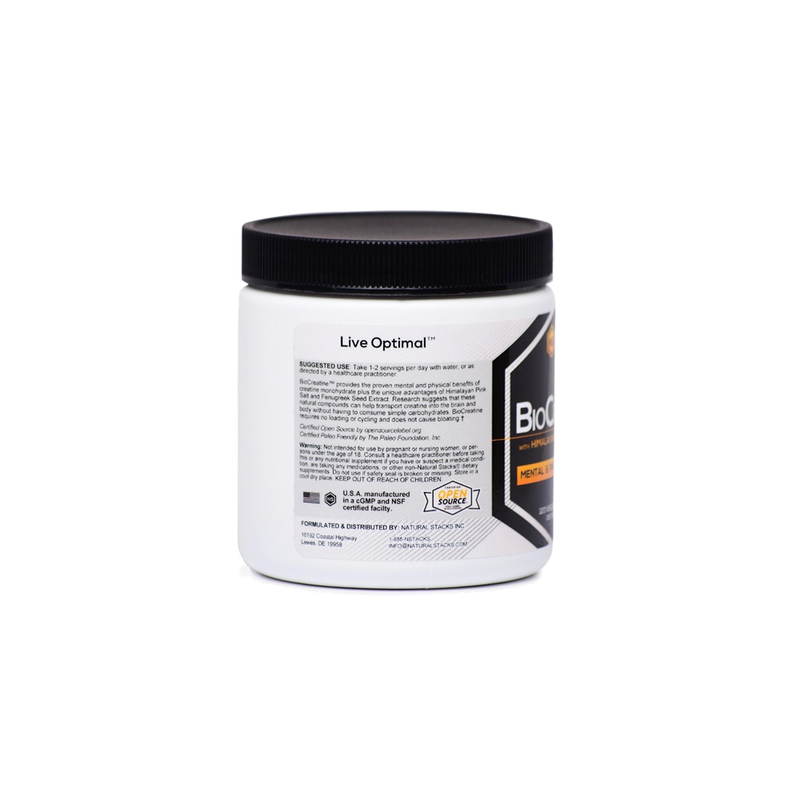 I started taking the “BioCreatine™ Optimal Creatine Complex” because I was not recovering form my workouts my mental and physical being was affected. now that I have been taking “Optimal Creatine Complex” I find that the next day is less of a struggle to get going, my mind and body recover. I need less coffee to get going.